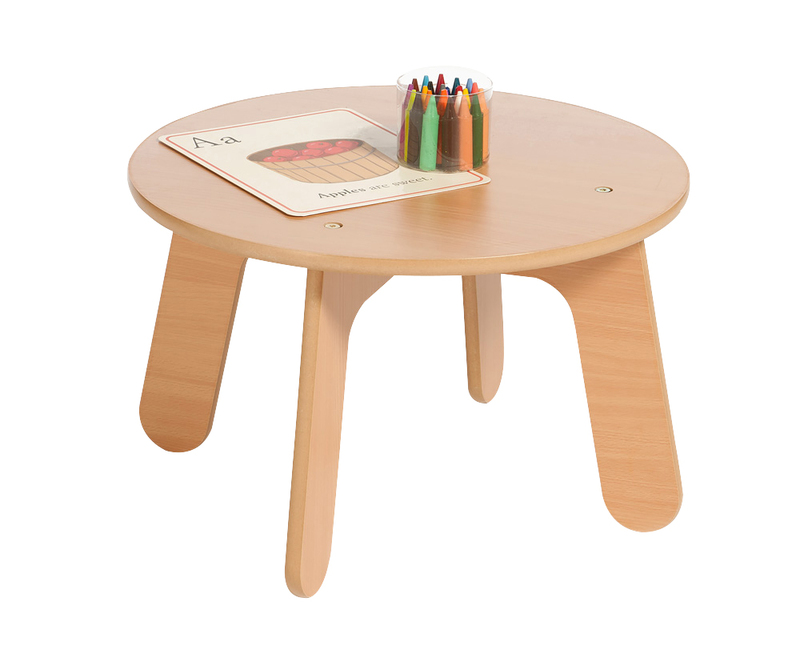 The early year’s round coffee table is an ideal piece of wooden early years' furniture for schools, nurseries and homes. Manufactured in the UK using sustainably sourced beech melamine board that is durable and easy to wipe clean. All edges are rounded and protected with a child-friendly, water-based lacquer that helps the coffee table to retain its natural wood appearance. Quick and hassle free assembly is required with the supplied Allen key. Please note: the books and play equipment featured in the product images are not included with the early year’s coffee table. Please Contact Us or alternatively call for more details on 01733 511121. View our extensive range of Early Years Furniture.